Actor gives up control of Twitter account after rushing to defend fired Penn State coach without knowing the facts. Actor and Twitter enthusiast Ashton Kutcher put his digital foot in his mouth over Penn State's firing of coach Joe Paterno. Apparently 140 characters are too many for one person to handle. Ashton Kutcher told fans Thursday that he was turning over day-to-day control of his Twitter account to his production company after having tweeted in support of fired Penn State coach Joe Paterno without knowing the facts. "A collection of over 8 million followers is not to be taken for granted," Kutcher wrote in a lengthy online post titled "Twitter Management." He said that what had begun for him as a "communication platform" had morphed into "a mass publishing platform, where ones tweets quickly become news that is broadcast around the world and misinformation becomes volatile fodder for critics. "While I feel that running this feed myself gives me a closer relationship to my friends and fans I've come to realize that it has grown into more than a fun tool to communicate with people," he wrote. Kutcher added that he had turned over management of the Twitter account to his production team at Katalyst as a "secondary editorial measure." Last night, the actor and vehement opponent of child exploitation and human trafficking had shocked everyone when he tweeted a defense of fired Penn State coach Joe Paterno. "How do you fire Jo Pa? 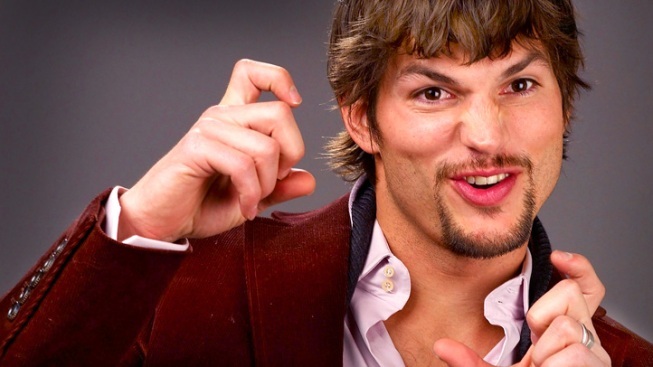 #insult #noclass as a hawkeye fan I find it in poor taste," Kutcher wrote. Almost immediately, his Twitter page was inundated with responses calling out the actor for his apparent hypocrisy. Kutcher later said he had only known that Paterno was fired, but was not aware of the circumstances that led up to it. Paterno, of course, was fired when it was discovered he had knowledge that his longtime former defensive coordinator Jerry Sandusky had been accused of sexually abusing young boys and did not go to police. The "Two and a Half Men" star not only deleted the post, he issued some quick and hasty apologies. "As an advocate in the fight against child sexual exploitation, I could not be more remorseful for all involved in the Penn St. case," he posted. "This is an insane story. I just heard paterno was fired, getting the rest of the story now," wrote Kutcher. "Fully recant previous tweet! Didn't have full story." On Thursday, he reiterated his "sincere apologies to anyone who I offended. It was a mistake that will not happen again."